Remember when I told you I started doing some corporate scriptwriting again? My background is in corporate scriptwriting and producing (many years of it) along with on and off-camera spokesperson and announcer. Back around the turn of the century, I started to focus just on the voiceover side of things. Well, voiceover work for someone who knew me in the “old” days led to the opportunity to do some writing for UCSD TREDS program. And that led to a request to produce a project to help curb talking or texting while driving. So, ladies and gentlemen, may I introduce the first production in a long long time! 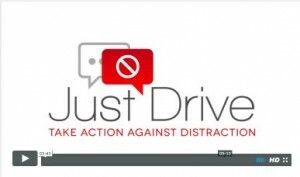 Just Drive – Take Action Against Distraction. Found this little PSA I did in 2016 for Smart Home America and Dontgoof.org. After all the rain we have had here in California recently, I can tell you that I was wondering about my roof since it has been quite a while since the last one! A handyman happened to be up on the roof yesterday for another reason and told me that the roof looked pretty good! Whew! I know when the time comes, I’ll be forking over some bucks, but better than catching leaks in buckets!